Spider House Ballroom presents "Spider Hitched! Love and Marriage Eqaulity for All"
Love is still winning! 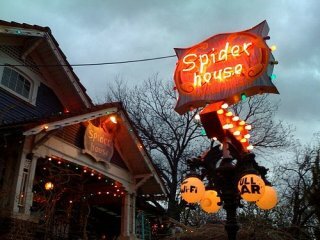 Bring your special someone down to this Austin favorite and get hitched. Spider House will cover all the wedding details, just make sure you and your honey are picture-ready. In true wedding fashion, an epic reception is to follow.